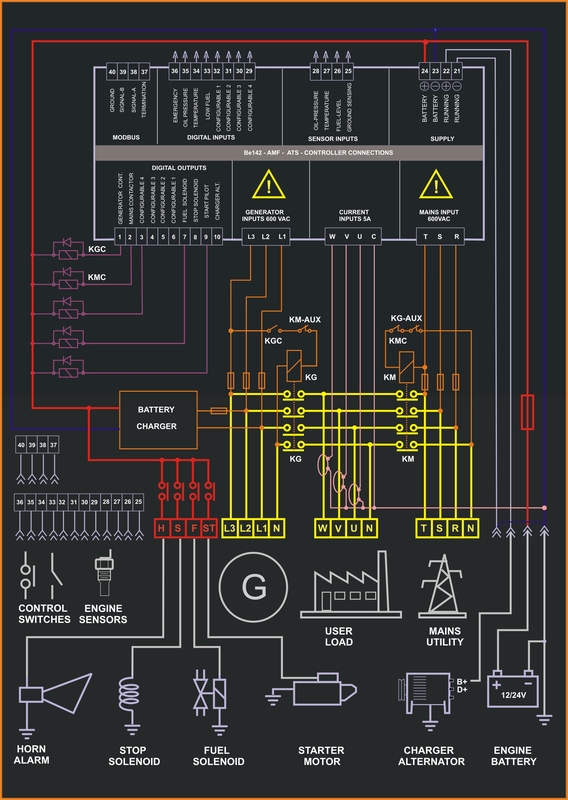 This is the typical BE142 control panel circuit diagram. You can observe the connections of the current transformers wired on the load side. This allows the Be142 to display the current when a circuit breaker is closed. So, you can read the current into the load even when connected to the power utility. You can set up alarms (warning or shutdown) in case of over current. The Be142 will trigger the alarm only when connected to the generator. It is obvious that you can set up all other important protections about Over/Under frequency, voltage and so on. By adding only a few relay you can interface with all kind of engines: gas-gasoline-diesel. You can observe the RS485 connection as well. This will allow you remote control monitoring via MODBUS, TCP-IP or, by using the BE16 module, to GSM systems. The Be142 is designed to drive two contactors. A best practice, id addition to the electrical interlock is to use a good mechanical interlock. This will avoid back-feeding in case of damage of the Be142 controller. You can connect analog or digital sensors directly to the Be142 inputs. The output of the Be142 are suitable for automotive relays 12V or 24V (according to the battery of the engine). 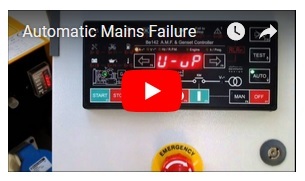 The Be142 outputs are short circuit proof, but we recommend that you connect all the time the flywheel relays.